Unisex T-Shirt, choose your size and color! NEW design for you. Western Wildlife, the Bighorn Sheep of British Columbia, Canada. 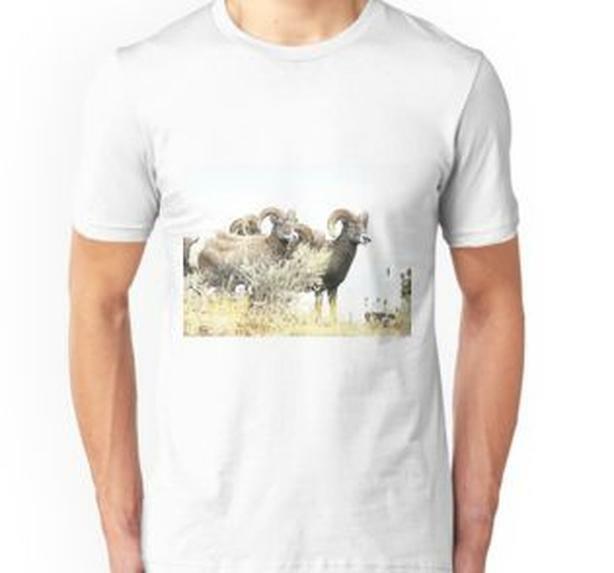 These wild sheep are a work of art by themselves, and are enjoyed by many travelers through western Canada. Why not share the joy- we have a variety of great gift items with this design, for yourself and for you to give to others.